Skiing Or Snowboarding For Beginners? Skiing is generally easy to learn initially but is harder to master. Snowboarding is harder to learn but reaching an advanced level is easier. Although there are exceptions to this rule, it generally holds true and you can use it to inform your snow sports choice. In general, people will find skiing easier to pick up as their feet are separated and they will face forwards down the slope, a position which will feel more natural. By contrast, on a snowboard both feet are clipped into the board and you will face side on to the slope, which will feel unnatural to a lot of people. The same considerations mentioned above will also affect difficulty in reaching an advanced level. Although more natural at first, having your feet separated in skis can make learning advanced turns difficult, as it can be challenging moving both feet simultaneously. Snowboarders won’t have this issue, which can make progressing through advanced turns and into the snowpark easier. Skiing is much easier to become accustomed to as both legs move independently and you travel with your body facing the same way as your feet. Facing forwards also gives you a much better view of the slope ahead of you than a snowboarder. Having both feet attached to a single board can be unsettling at first and takes some time getting used, to especially when you factor in that you travel at 90 degrees to the way your feet point. It is also important to remember that on a snowboard you won’t be facing the slope, which can make it difficult to stay aware of your surroundings. Although having your feet separated can make it harder to fall, it can also increase the risk of injuries through twisting motions. Skiing also tends to be harder on your knees than snowboarding. Both feet being attached to the board means snowboarders are likely to experience more injuries when at the beginner stage than skiers. The most common injuries for snowboarders are wrist, shoulder and ankle injuries. Although lifts can be daunting for a beginner, skis don’t need to be unclipped on a lift and facing forward will make the experience a lot more comfortable than on a snowboard. Ski lifts can be a challenge for boarders as they need to ride with one foot unclipped. They also don’t have ski poles to help them move on and off the lift and must learn to ride off with one foot removed from the board. 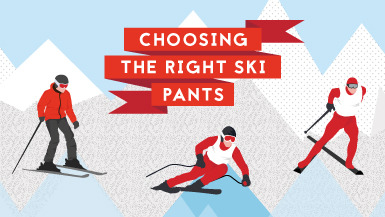 Aside from boots, the same clothing can generally be worn for skiing and snowboarding. 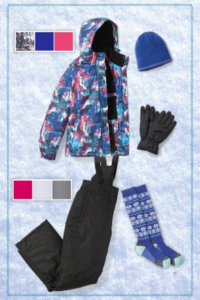 You’ll need a jacket which protects you from the elements, a pair of snow pants, gloves and some warm ski socks. 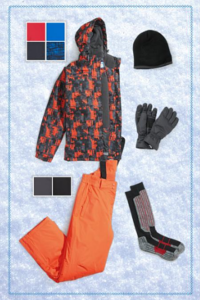 If you are heading to the slopes for the first time, you can get all this equipment for one great price with a Mountain Warehouse Ski Package. Carrying your ski equipment off the slopes can be tricky as along with both your skis, you also need to carry two poles. Ski boots are also very difficult to walk in, even for more experienced skiers. When you’re finished boarding for the day all you need to carry is your board. Snowboard boots are also much closer to regular boots than ski boots, which will make walking around the village easier. Ski poles are very useful when trying to traverse flat terrain or when getting on and off lifts. Snowboarders can only rely on gravity and will need to unclip a foot from bindings to keep moving on flat ground. Think about which sports you’ve tried before and whether that experience will help you. People who have previous skateboarding or long boarding experience may find snowboarding more natural than skiing. What snow sport do your friends and family take part in? Although skiers and snowboarders can hit the slopes together, if you take part in the same sport as your friends you’ll be able to use their experience to help you improve. The most important consideration of all of these may simply be personal preference. 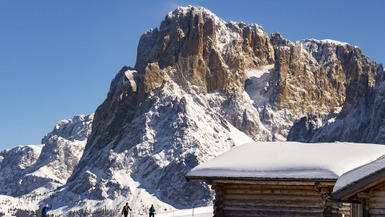 Do you have ambitions to speed down the piste on a pair of skis? Or do you want to tackle ramps on a snowboard? Whichever you choose, you’re sure to have a great time! 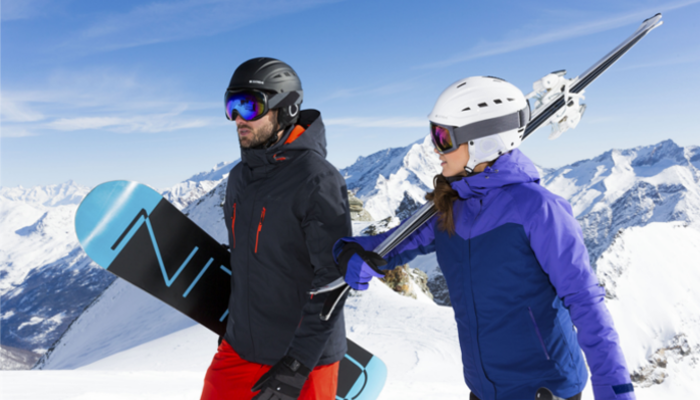 If you are hitting the slopes for the first time our Ski Packages are the perfect way to get all the kit you need. 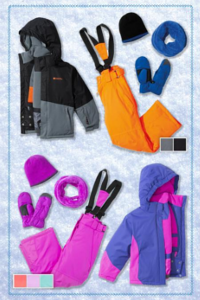 Our packages include a Jacket, Pants, Gloves, Hat and Socks all for one great price so you can get your gear sorted ready for your trip to the Mountains.